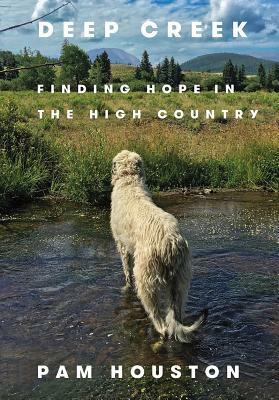 Tuesday, February 26th, 2019, 6 p.m.
Pam Houston (Contents May Have Shifted) comes to Gibson's Bookstore to share her new memoir, Deep Creek: Finding Hope in the High Country, as she talks about finding herself and her place in the world after literary success. About the author: Pam Houston is the author of the novels Contents May Have Shifted and Sight Hound, the short story collections Cowboys Are My Weakness and Waltzing the Cat, and A Little More About Me, a collection of essays. Her stories have been selected for volumes such as The Best American Short Stories, The O. Henry Awards, The 2013 Pushcart Prize, and The Best American Short Stories of the Century. She is the winner of the Western States Book Award, the WILLA Literary Award for contemporary fiction, the Evil Companions Literary Award, and multiple teaching awards. She cofounded the literary nonprofit Writing By Writers, is a professor of English at UC–Davis, and teaches in the Institute of American Indian Arts’ low-residency MFA program and at writer’s conferences around the country and the world. In Pam Houston's critically acclaimed collection of strong, shrewd, and very funny stories, we meet smart women who are looking for the love of a good man, and men who are wild and hard to pin down. "I've always had this thing for cowboys, maybe because I was born in New Jersey, says the narrator in the collection's title story. But a real cowboy is hard to find these days, even in the West.